This product is available in Amazon.in, Flipkart, Snapdeal. 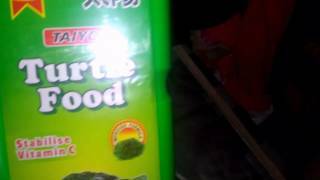 At amazon.in you can purchase Taiyo Turtle Food, 500 g for only Rs. 220, which is 13% less than the cost in Snapdeal (Rs. 254). 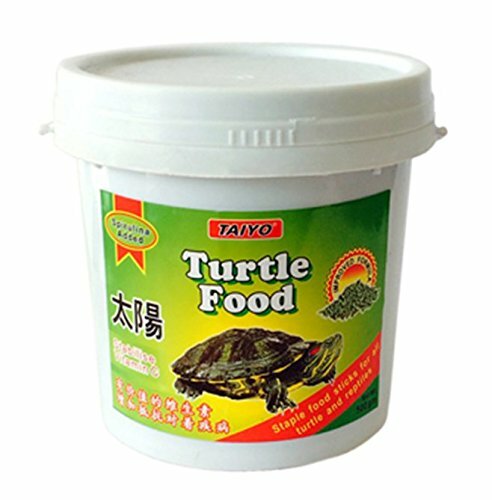 The lowest price of Taiyo Turtle Dry Food - 500 Grams was obtained on April 24, 2019 5:38 am. White Fish Meal, Shrimp Meal, Whet Floor, Corn Meal, East, Enzyme, Calcium Magnesium Bio Tin Vitamin Ace And Other Trace Elements. Feed Daily As Much As Your Turtle Can Consume Within Two Hours. Always Remote The Excess Food Left Over After The Feeding Period. Buy It guys. Best product. My Red Eared Slider Turtle loved it. Buy it from SAGAR AQUARIUM. Best Seller. Great product – liked turtles & as it contains spirulina, is also liked by ducks. Satisfied with the product. 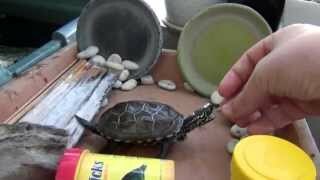 My new turtle had not been eating for several days, but seems that he like this and gobbled it up.